City of Delaware Economic Development Department - Do It Better With Lean Six Sigma: How to Improve Business Processes. Get a White Belt to Boot! Do It Better With Lean Six Sigma: How to Improve Business Processes. Get a White Belt to Boot! NOTE: Early start time of 8:30am. Workshop session will start promptly at 9:00am. Attend this workshop and learn the toolset that companies use to perform at a higher level (Six Sigma), better meet their customers’ needs, and strive to pursue perfection. 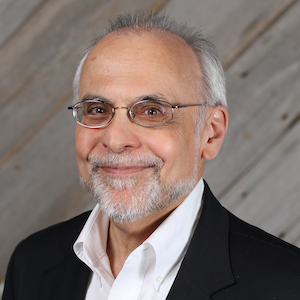 Joseph Valvona is a consultant and trainer with Breakthrough Performance Group, LLC, a company that provides Lean Six Sigma training, performance consulting, cultural transformation, and change management leadership. Joe has more than 30 years’ experience in the health care industry. As a certified Six Sigma Master Black Belt, Mr. Valvona led a team of Black Belts, created and taught Lean Six Sigma training curricula for two health care systems, and mentored Lean Leaders, Green Belts, and Black Belts. Joe served as a key strategic planning professional for three large healthcare systems and has co-authored several peer-reviewed journal articles on health care economics and policy. His expertise includes analyzing databases for opportunities to improve health care delivery, developing strategic business plans, conducting portfolio analyses of key businesses, leading development projects for new or expanded businesses, and teaching Lean Six Sigma methodology and tools. Joe has a BS in Biology from Emory University, an MS in Genetics from the University of Arizona, and an MBA in Finance from Vanderbilt University. 12:00N – Workshop concludes, networking resumes.